Hutchins Canning & Company has been providing tax, accounting and consulting services to vacation rental management (VRM) companies since 1979, and we want to be part of your financial and management consulting team. 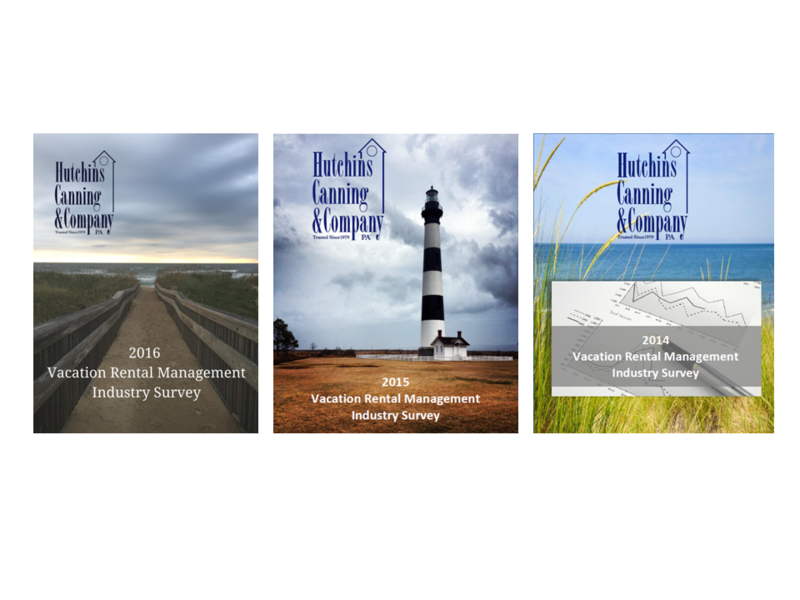 For over 20 years, our firm has conducted an annual survey of the vacation rental management industry for the local Outer Banks, NC market and, for the past three years, has produced a comprehensive national vacation rental management industry survey. In 2012, this national vacation survey represented data gathered from 19 states and two foreign countries. As accountants and consultants, we find that the annual survey captures key metrics and benchmarks necessary for effective business management and growth in the VRM industry. We will work with you or with you and your current CPA to optimize your company’s profit and organizational performance.